Up until a couple of months ago, I had never heard of Worcester, Massachusetts before. 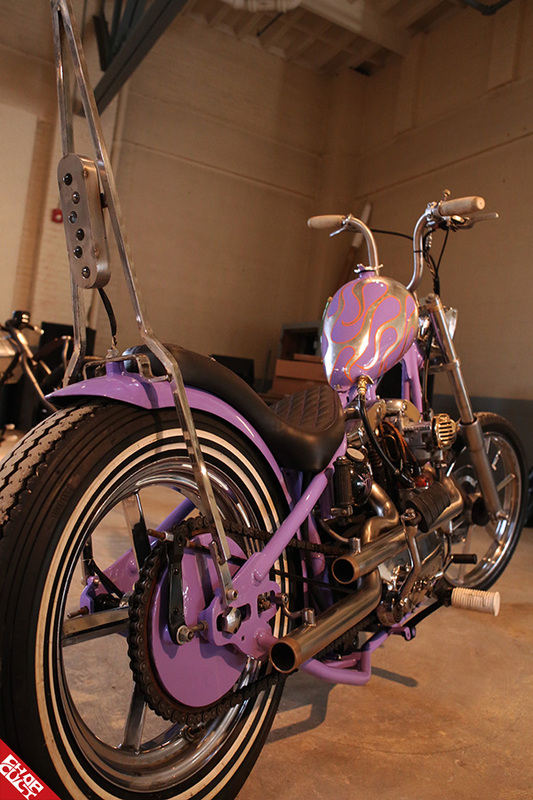 A small town an hour outside of Boston had no reason to capture my interest until I found myself shooting Jerry Merola's bike for ChopCult and he mentioned that his bike would be at The New Tradition Motorcycle Show in January. I immediately started noticing people talking about it online as well, and I decided it would be a great road trip to take. Lisa put me in touch with Jay Roche, one of the founders of The New Tradition Co., and he was delighted to hear I’d be there. When we drove up to the building, I immediately loved the industrial vibe of the neighborhood. All the surrounding buildings are really old and cool looking. 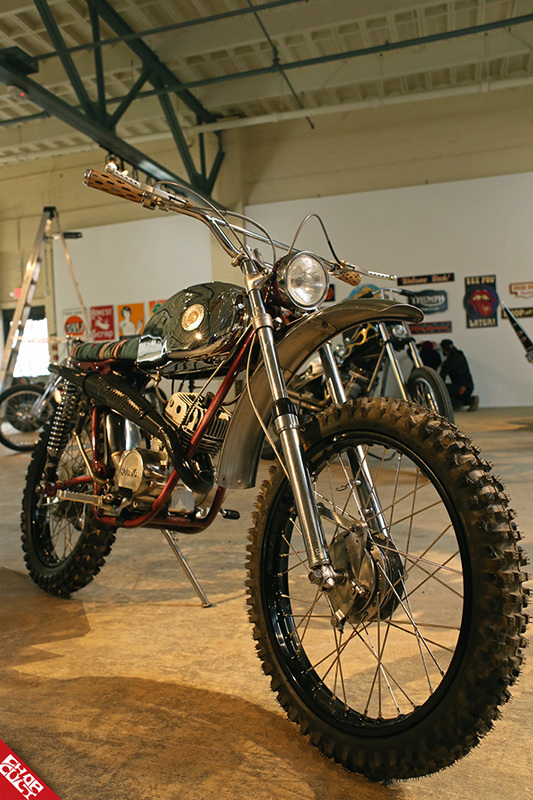 The space itself was the perfect spot for a motorcycle show – open, spacious, clean. 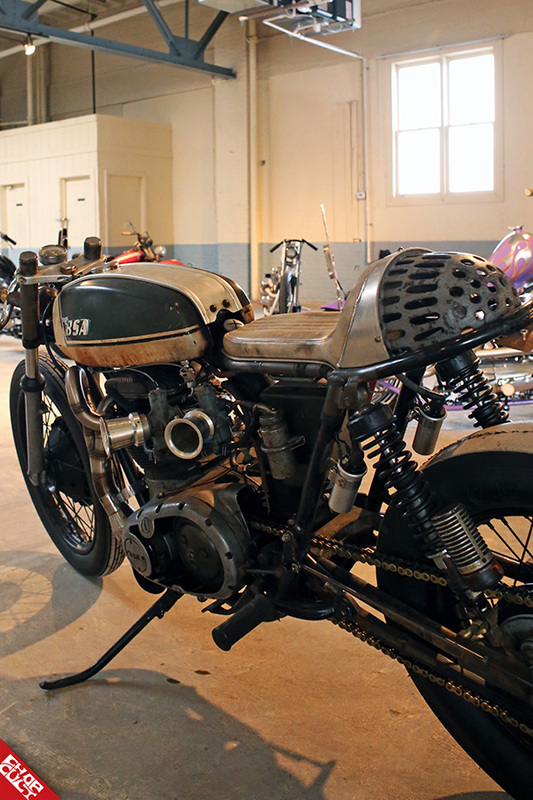 I got to see some gorgeous bikes and meet friends old and new. The show started at 4, and by six the huge warehouse was packed. I was truly surprised by how many people came out to this seemingly small town for the show. 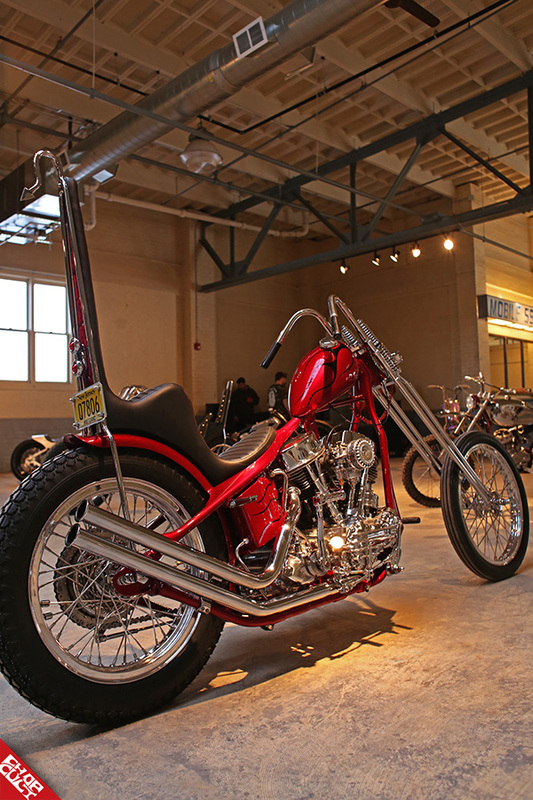 Everyone seemed to be in a great mood, having a chill time, looking at and appreciating the craftsmanship and engineering that went into each bike. I was so thrilled I’d decided to make the trip up. A few days after the show I had a chance to speak to Jay and ask him a few questions. How did you guys come up with the idea for the show? Joe Weiss and I were talking a handful of years ago about how our local area didn’t have a lot going on as far as the type of bike shows or get-togethers that we were into. Fast-forward a couple of years, and we find ourselves purchasing a foreclosed building to build our workspaces in. We felt it was time for us to put our money where our mouths were and take a shot at throwing a bike/art show party get together during the winter when people may be looking to get out of winter hibernation and do something fun. Joe, John Repetto of The Eazy Company, and I brainstormed for a while to figure out the basics and set the whole thing in motion. That’s how the show was born. Who is involved/helped/sponsored? Last year, we had a handful of sponsors, but this year we decided to slim things down, so we didn’t feel like we were barking at people from a microphone for a good chunk of time. 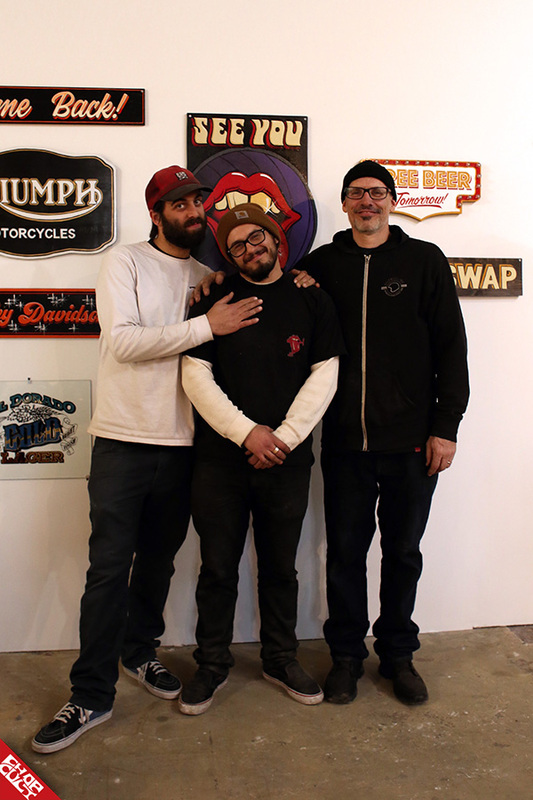 We wanted people to feel more at home in our space, drinking a beer, checking out some bikes and art, talking with friends and making new ones. We didn’t want people at the show feeling like they were at a carnival paying attention to the man on the microphone. Our focus was just to create a good time for people. 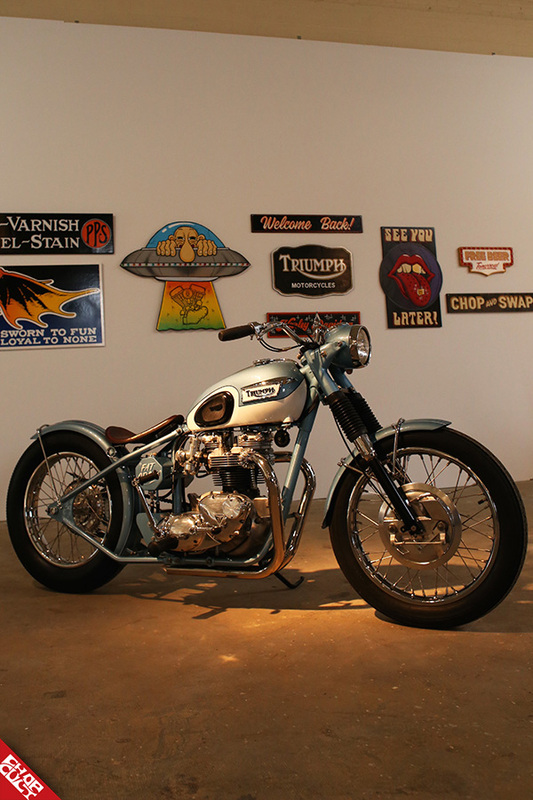 I contacted Bill Bryant at Biltwell and my Vans rep friend Ryan Auger to let them know what our plan for the show was. Limited but cool giveaway stuff that people would dig. We owe a lot to those guys for their support for sure. We also want to thank Pete at Narragansett Beer and Lisa at ChopCult for the continued support of our events. How did you decide on which bikes to invite? The decision on what people, bikes, and art to get out to the show was just a lot of talking back and forth between Joe, John, and myself. Things like “my friend so-and-so have this cool shovel” or “I’ve been checking out this local guy’s bike on Instagram, I’ll hit him up.” It was like that for the most part. We were super happy that so many people were into the idea of the show and wanted to come out and participate. How would you compare this year to last year? Being that last year was the first year for the show, we were ecstatic that so many people came out to support our efforts. The vibe was great, no tough guy attitudes. It seems that everyone was there to enjoy the show and company of others. This year’s show was very similar. We were humbled at the level of builders and artists that were happy to be involved. Once again, people came out to support the show and have a good time. We really couldn’t ask for more. What was your favorite part of the show? The most significant difference was us creating more space due to tearing down some old office structures that crowded the area a bit. It’s amazing how much work goes into creating a plain space that you can do an event like this in. We were down to the wire with all the demo, electrical, sprinkler updates, and fire alarm stuff. Worth the effort in our eyes. What do you have planned for the future? The future here at New Tradition Company is a busy one. We are smack dab in the middle of building out some more spaces in our motorcycle co-op, laying out and building our coffee shop/moto retail area, and finishing a space for our friend Josh to run his barbershop out of. Our goal is to create something in Worcester, MA that we would want to go hang out at... so again, money where our mouths are since we have the space. 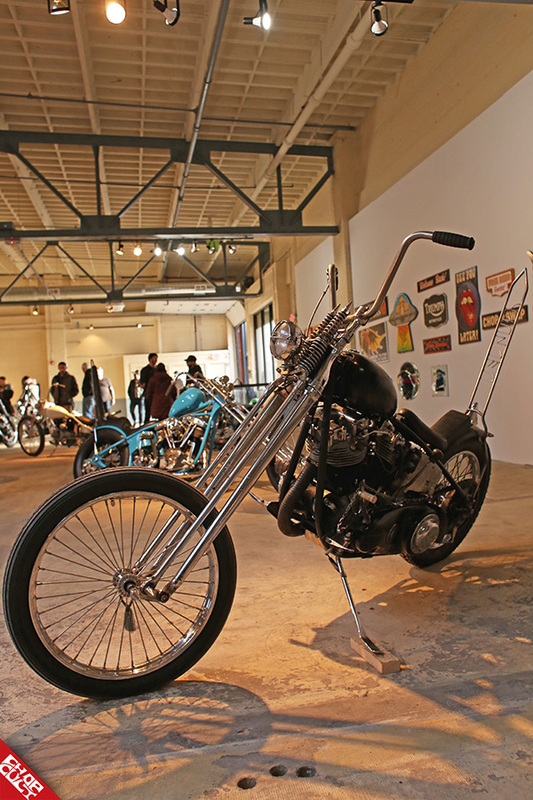 We will undoubtedly continue having the bike and art shows, motorcycle swap meets, and other events in our upstairs space. We feel that space poses endless opportunities! Be sure to give New Tradition Company a follow on the ol’ gram for upcoming events. It definitely was a great show, Jay, Joe, and John know how to throw a party. If you didn't make it this year be sure to put it on your list for next year. Nice Job covering the show Kamilia. I be there! Looks great!